Fox Marble (LON:FOX), the AIM listed company focused on marble quarrying and finishing in Kosovo and the Balkans region, today announced that it has conditionally acquired Green Power Sh.p.kthe licence holder of the Maleshevë quarry and Scope Sh.p.k. 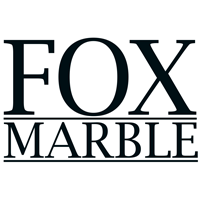 (“Scope”), a company through which Fox Marble has entered into two hire purchase agreements. Fox Marble Chris Gilbert commented, “The opportunity to acquire the Maleshevë quarry in Kosovo will benefit the Company and its shareholders going forward not only with respect to the elimination of the royalty costs, but also in benefiting from the underlying value of the quarry itself. I anticipate this value increasing as we continue to drive production rates in the quarry to satisfy the demand we have generated around the world. The acquisition of Scope reduces the Company’s monthly outgoings at the Factory. We look forward to updating the market in due course”.